Article provided by Sanlam and written by Jan Truter from Labourwise. The existence of valid or reasonable rules is a prerequisite for effective and fair discipline in the workplace. Employees also need to be made aware of these rules, and the rules have to be consistently applied. But how high may the employer set the bar – may a zero tolerance approach be implemented? Employers should, as far as possible, spell out the workplace rules in writing and ensure that the rules are properly communicated to employees. The consequences of a breach of the rules should also be spelt out, particularly if the breach could lead to dismissal. Sometimes employers take it a step further by adopting a ‘zero tolerance’ approach to certain misconduct. This raises the question about how far the employer may go – does the fact that the employer has implemented a zero tolerance policy mean that a transgressor will face dismissal? This point was considered in the Labour Appeal Court (LAC) case of Shoprite Checkers (Pty) Ltd v Tokiso Dispute Settlement & others (reported 2015). In order to counter shrinkage of stock, the employer had introduced a rule that required employees to declare goods that they have in their possession with security. After being found in possession of a roll-on deodorant in her bag after work and after failing to provide proof of purchase, the employee in question was charged with failure to declare the item. Her version was that she had forgotten to declare it before coming into the store. She nevertheless pleaded guilty on the charge and was dismissed. She referred the matter to the CCMA. There were several flaws in her evidence and the CCMA Commissioner upheld the dismissal. On review the Labour Court found that dismissal was not a fair sanction. The Labour Appeal Court agreed. An important aspect of this case is that the employee had not been charged with theft. The employer had, nevertheless, given evidence that there was a strict policy that a single infringement of the rule regarding the declaration of goods could lead to dismissal. The LAC found, on the facts of this case, that there had been no evidence that this approach or policy was known to employees. It was also contrary to the employer’s code of conduct which stated that the offence ‘may lead to a disciplinary sanction, including dismissal’. In these circumstances the LAC concluded that, despite the fact that the employee had not been a good and truthful witness, she had pleaded guilty to infringing the rule, and that there were mitigating and other circumstances that should have influenced the outcome. The LAC’s view was that a final written warning, rather than dismissal, was the appropriate penalty. What if the employer in this case had followed a different approach? As mentioned above, the employee had been given the opportunity to provide proof that she had purchased the goods, which she failed to do. Her evidence regarding to what had transpired on the day in question was fraught with contradictions. One has to wonder whether there might have been a different outcome if the main charge had been theft, with failure to declare the goods as an alternative. In the beginning of this article we referred to the basic requirements for effective and fair discipline. But there are a few additional lessons that can be learnt from this case. 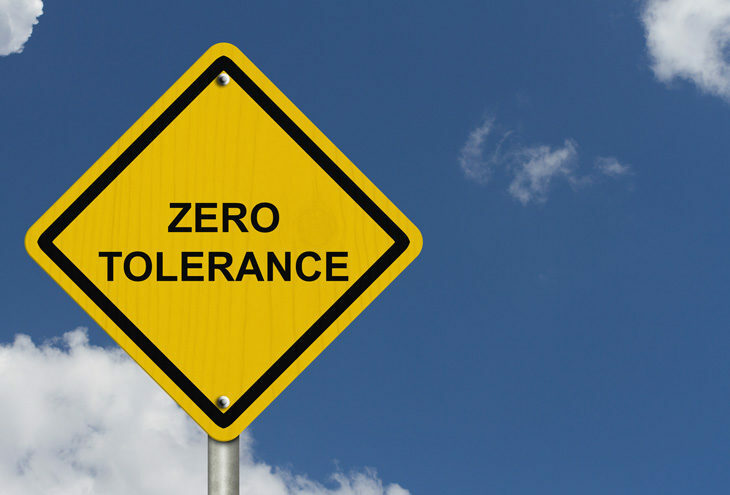 Firstly, attaching a ‘zero tolerance’ label to an offence does not mean that dismissal is always appropriate. Secondly, where stricter rules than normal are implemented, the employer must take particular care to ensure that employees are made aware of the rule and the possible consequences of the transgression thereof. Thirdly, employers should give careful thought to the formulation of disciplinary charges, particularly if there appears to be an element of dishonesty. Sanlam is a proud Partner of the National Small Business Chamber (NSBC).